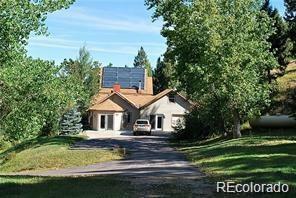 You must see this absolutely gorgeous Deer Creek Canyon mountain property. 40 acres of beautiful, wide-open, peaceful, private land just minutes from town but feels like you have discovered a secret refuge. Pristine air and abundant, pure Artesian water. 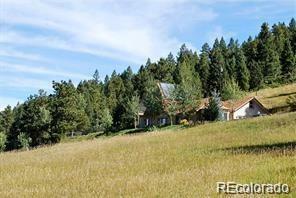 Plentiful wildlife and superb mountain views. Paved and gated access. Includes a 2 bedroom, 2 bath house with attached garage and 2nd story deck. Adjoining 38.5 acres of aspen groves and sunny meadows full of wildflowers, surrounded by hillsides of pine, spruce and fir, all healthy due to professional forestry management and adjoining nearly 700 acres of open-space land can be purchased for $385,000.00... you don't want to miss your chance to own this beautiful mountain property. Call now to arrange for your private tour of this truly exceptional property.